Without examining me, reading my chart, or letting me finish speaking, he met me and judged my case. There was no pause for an answer. It was a statement in the form of a question. It was a verdict. Another day, another patient, another kind of doctor… Here’s the letter. “My story is happier now. A combination of Enbrel and Plaquenil helped but certainly brought me nowhere near the 70% return of function. My rheumatologist told me that I just wasn’t where he wanted to see me and hoped I would still get. He wanted better things for me. For many reasons, I had been refusing anything specifically targeting the pain, but he convinced me to try a prescription-strength NSAID. I have a high tolerance for pain and I hadn’t wanted to take anything that would put further stresses on my body. However, once I began taking the medication, things changed. I hadn’t realized how pain was impacting my sleep and how very sleep deprived I was. I hadn’t realized how much energy was sapped while my body coped with the pain, even when I consciously pushed the pain aside. I didn’t know how many activities I was missing because the pain had frozen me and sapped my energy, keeping me in bed for hours each day. I just hadn’t known how the pain was impacting me. It’s made a tremendous difference. Yes, the more medications I take, the more side effects I might accrue. I’m not back to “normal,” my husband reminds me after a day when we’ve had some hilarious bean-burger and spinach-dip throwing episodes when I tried to cook and ended up slinging food I was trying to lift with a spatula or stir with a spoon. Still, it’s so much better that it is scary, and I’m sure you know what I mean. I’m scared I’ll go back. Thanks to M. for letting us print part of her letter. She’s fighting so bravely to get as much of her life back as possible. And her doctor has performed brilliantly. What a wonderful example of how it’s supposed to work and how we can see that pain is not “just pain right.” No. Years ago, one of my sons once had an impolite response to dumb questions. If the question didn’t even dignify a “no,” my son said, “N.” Since Day 1, I’ve looked for the right nickname we could use for this fellow, the polar opposite of M.’s good doctor. Maybe someday I can tell you more about it, but it only took 209 days to name him Dr. No. 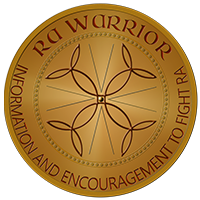 The pain of RA is like a person always next to us, talking to us, needing support, taking thought and time and energy to deal with. No one else can see it, so they treat pain like an imaginary friend that has no impact. WE know the pain is right there. What a great way to articulate our pain….. I agree – beautifully said. This hit a hot button with me BIG TIME! No it IS NOT just pain, it is our lives. Our very survival on a moment to moment, hour to hour, and day to day existence. And with pain, we are lucky if we are even existing at all. OH I could ring that someone’s neck. If doctors would just take the time in a visit assessment and ask key questions about what we do, how we do it and do we do it at all, they would better understand. I think they should take a a few pages from the SSDI form and convert them over to their practice in patient assessment during each and every visit. There one will be asked very specific questions. And yes, I am all for a doctor asking a working ra patient specifics about their job and if and how they handle the individual tasks they must do. It IS their job to keep us employed if at all possible. And even if we transfer to the ranks of the “disabled”, it is still their job to help us maintain as much as a normal life as possible. And how, may I ask, will they know what normal is for us if they don’t understand what we did and want to maybe continue doing? 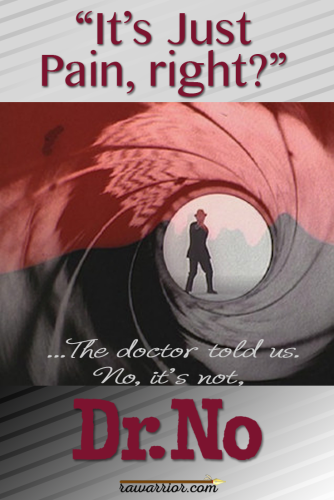 Grrrrrrrr….dang it….doctors who are treating RA, please adequately treat the pain of ra. It isn’t just pain! It’s “just pain” only to people who have no idea what it’s like to LIVE with chronic pain. Exactly what I was going to say, Tina! No, you’re so right, pain is not just pain, it’s something you live with from the minute you wake up to the tile you go back to sleep, it’s like your shadow, but an evil one that take your energy, make you snap at people. Pain is not simple, easy to deal with. While I never tire of talking with patients and hearing about their lives, I do tire of hearing the same broken record BS from doctors and nurses who should know better. You quoted 2 common ones – the “Oh just wait till doc sees you.” And the “Oh just lose weight & it will be better.” What about the fact that this is a wasting disease? Very thin people who are put in danger by the amount of involuntary weight loss STILL have the SAME problems and pains; weight loss didn’t help them did it? Weight loss does not decrease RA symptoms or damage; it’s just dumb to say that & put the blame for RA symptoms on patients. Anyway, I know you are being positive and doing the most you can. Hopefully pneumonia will stay away!! I am one of those very thin people that is in danger. I am losing weight and have lost a lot of muscle mass. I have cachexia now…We are trying to slow that down with MTX, but so far, it’s not. I know it takes time. Anyone with chronic pain can tell you a story about dealing with clueless medical professionals. This includes not only doctors, but nurses, med techs, ER staff, etc. Is it really so hard to understand that chronic pain and acute pain are two different conditions? I’ve been branded a “drug seeker” simply because I refuse to live with crippling, mind-numbing chronic pain. It’s a sad situation. Pain affects you in ways you just don’t realize. It touches everything you do, everything you try to do, your attitudes, and most importantly your quality of life. I was told years ago to “just lose weight” and my pain would go away. 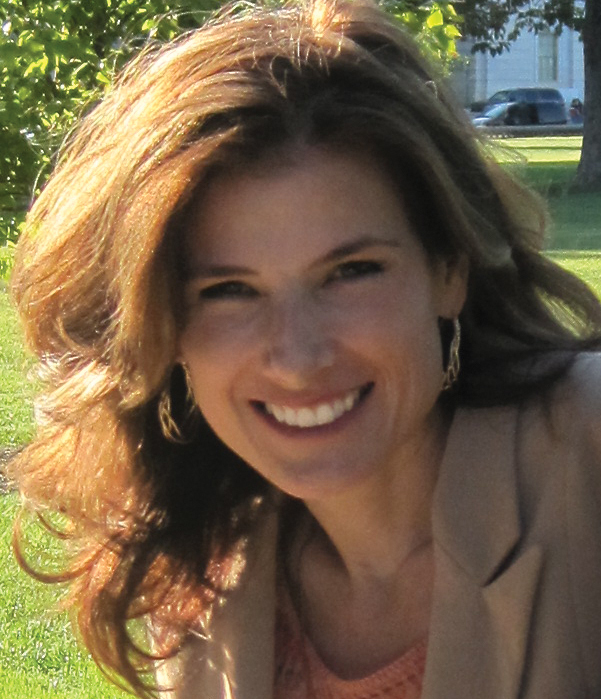 After I lost 220 pounds, I asked the same doctor why the pain hadn’t gone away. He was speechless. One memorable time I was experiencing pain from botched carpal tunnel surgery and was told by my surgeon if I would just accept the settlement offer from the workers comp insurance company, my pain would miraculously disappear! Healthcare workers like these have a lot to answer for. Many of us won’t ask for analgesics simply because we don’t want to go through the whole rigmarole of having to justify our need for pain relief. Good pain specialists are hard to find. And hard to keep. I was told just last week that if I insisted on having a copy of my complete medical records, I would be “fired” per my “contract”. I’ve been seeing this same specialist since 2006, and this is the first I’ve ever heard of any sort of contract! The records were needed to file a SSD claim. This doctor ignored multiple requests from my attorney on the grounds that I would be “fired” if they provided them to ANYONE. I think it is this kind of treat-you-like-dirt attitude that makes RA patients hesitant to request pain medication. On top of everything else that is going on with the patient, they’re just too tired to deal with yet another issue. Or, even worse, they (and their practitioners) see pain as a sign of physical, mental, and spiritual weakness. I personally go into each and every appointment afraid that my pain will not be believed. I couldn’t have expressed it any better, Jaynie. And at this point, I’ve developed anxiety and PTSD from the cumulative result of medical appointments very similar to those you’ve described. Grrrr …. Honestly Mary, that’s exactly how I feel. Severe anxiety and ptsd. My mother went with me to my rheumy appt last month (dx 2+ years ago, but have been dealing with endocrinologists etc. for the past 10ish years). 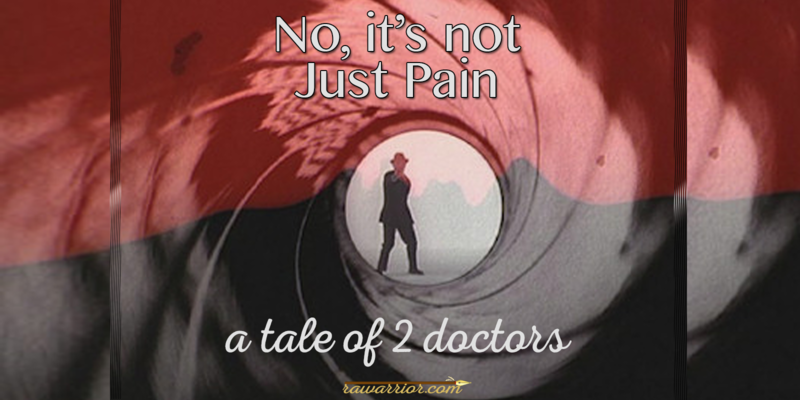 She was shocked at how awful the Dr’s assistant was – mumbling, moody, mean – and how the Dr. just ignored things he either didn’t know how or didn’t want to answer. Although I will say this is the best Dr. I have had! That’s kind of sad. She also got annoyed with me for not standing up for myself and insisting, but you just get so worn down by always being ignored or disregarded; I totally relate! Ever time I am able to visit I am reminded that I love you. You speak for us & I don’t know where we would be without you. Besides speaking on our behalf for others to hear, you put our suffering into the ‘right words’. You articulate even for ourselves, what we experience and it is a relief to us to hear and see it. We come here and instantly our suffering is relieved because we are aware that we’re not alone in this. Every time I come here, I’ll that you for that. I cannot help it. I had just called my RA doc about something different for pain other than Ultram and Vicodin both which makes me sick. I get a bad head ache with them. He said to take up to 3000 mgs. of extra strength Tylenol!!! I just sighed. Tylenol doesn’t even touch my RA pain.What else is there? I agree since tylenol is not anti-inflammatory. That much tylenol is also dangerous if you have to take it again repeatedly or if you’re taking other meds that are putting your liver to extra work. I take a therapeutic dose of advil/motrin and it helps somewhat and Lortab. Maybe you could ask him about that? I’ve known that I have RA for less than a week and was feeling very lost as my rheumatologist (in the whole five minutes she took to slow me a picture of I guess what RA is doing to my hands) said the ‘pain’ I had was ‘normal’ sent me for X-rays, bloodwork and had me scripts for which I knew nothing about – no explanation….unless you count the Internet printed paper work the very nice LPN handed me on my way out…. It’s nice to read that I’m not alone…in many aspects. Thanks for helping me cope. It is so very reassuring to know that others understand what I am going through (even though I would not wish Rheumatoid Disease on anyone). One area that I have found that pain really effects me is in my ability to concentrate – especially during conversations. The pain is always trying to get my attention. I feel that pain has effected my relationships and that upsets me as much as the pain itself. Thank you again for sharing. My favourite comments from my Rheum are “RA doesn’t hurt, because your Ra factor is negative” and “i’m in the disease modification business, not the pain management business” i was asking for stronger pain meds because i max out on OTC every day, and have already had issues with my liver on MTX. I don’t think he appreciated my reply that i he did his disease modificaion, i wouldn’t need the pain management!! I take a prescription NSAD twice a day. My rheumy wanted it to help control the swelling (and presented the pain relief almost as an additional benefit). Now, I fall asleep within minutes. No more laying in bed flexing feet, hands, legs.. tossing and turning trying to find some position that doesn’t hurt. I remember nights laying in bed fighting tears and not wanting to be a “baby” because my feet hurt so bad I could not fall asleep. I get down on the floor and play with my kid. We race, play hide and seek, or tag… granted, I can only manage 15 minutes – but that is 15 minutes more than I was able to before. Pain snuck up on me. It started small, became part of my daily existence and slowly consumed my life. I had no idea how pervasive and destructive it was, until it went away. It was literally like the sun coming out after it’s been raining for weeks. I had almost forgotten how wonderful life could be – and then I got it back. I’ll risk liver damage and stomach issues with a smile – if it means I can spend the next few precious years playing with my child. 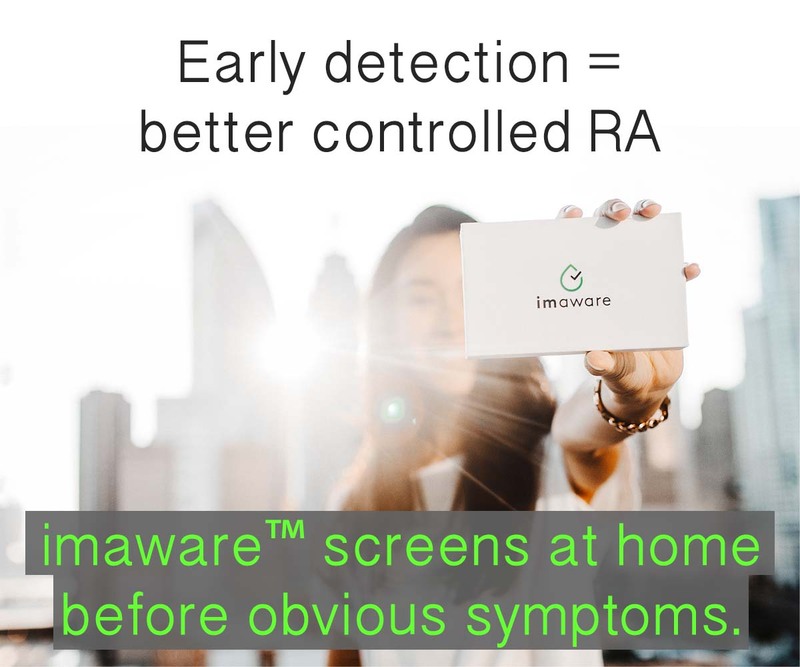 I’ve suffered with RA since the young age of 11 and am 64 now so its been a long painful road. Am presently having arthritis nodule in my eye which is so hard to treat and painful also was diagnosed with arthritis in the chest wall, so it has not been easy, but with Jesus on my side, I CAN. I call mine Dr. Coldfish. He hasn’t a clue about Rheumatoid Disease, how it feels, the effect it has on one’s life. Dr. Coldfish is the one who refuses to prescribe pain killers. If it hurts (IF??? ), I should take Tylenol. No, it is not just pain. Pain changes who I am. My husband and children pay as well when my pain is not treated adequately. Housework and meals are not taken care of or we may not be able to attend a school or social event. Even though I do my best to keep it from affecting their lives, it does. My mood is affected. Will they get the loving mother and wife or the moody broom riding woman that she becomes when she is hurting? I cannot take any NSAIDS for pain because of a history of stomach and intestinal disorders. I went for years with no pain meds because my gastroenterologist believed in treating the ulcerative colitis inflammation as a way of treating my pain. It only grew worse over time. Finally when my RA showed its ugly face, I was sent to a rheumatologist, who thankfully, will treat it with pain meds. The sad thing is that I don’t talk about it to anyone because I don’t want to be viewed as a drug addict. I’m just thankful to finally be able to participate in life again. Great post, Kelly. Thank you for everything that you do for the RA community. I read this and cried. I am not crazy…… I just have the wrong rheumatologist. I vow today not to feel guilt for how I feel. To apologize for being a “malingerer”. My crime has been not acknowledging that my “Buck Up” has dwindled and I am just responding to what I have left. Is there a resource available to honestly critique rheumatologists in a given area, so I can start over with some semblance of trust that I am being truly seen and heard? I have been with this same one for 15 years…. I refuse to accept it is “me” anymore. Dear Jane, there are several doctor rating sites & you many want to read whatever you can find there about docs in your area. Just type “rheumatologist” and your city into Google search. The next step would be to call some offices and ask about 2 or 3 things that are most important to you. We do have a list we are building of doctors who patients recommend, so maybe we can help you find one. Ask around in your area – that’s the best way to find a good doctor, from other patients.